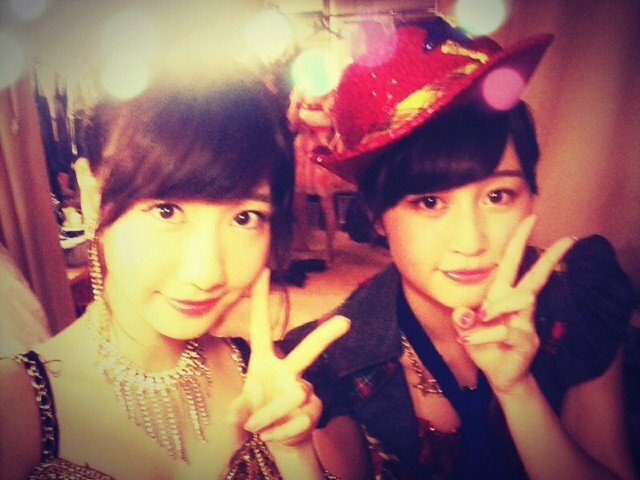 There is so much happening in AKB land that I decided to do a news roundup of the last few days. Yukirin took part in the individual handshake event over the weekend for “So Long!” and “Sayonara Craw”. 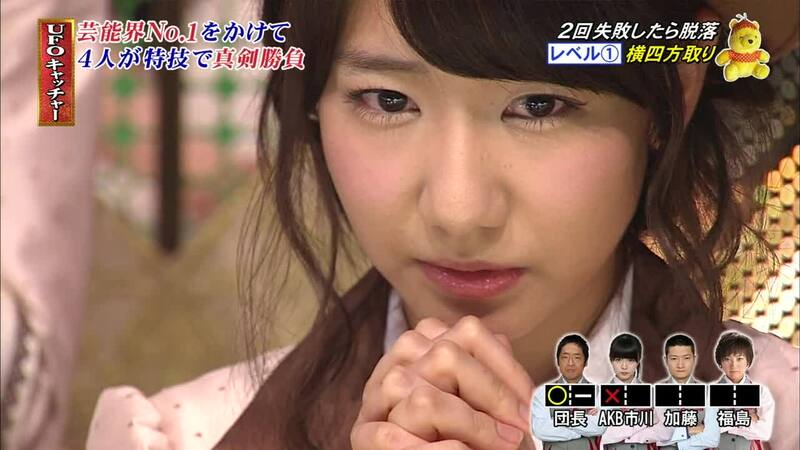 Unfortunately, by the last rounds on June 1, Yukirin lost her voice as she hadn’t been feeling well. On June 2, she was only able to shake hands with fans, and wasn’t able to converse. Yukirin was really sad about losing her voice because she wanted to properly talk with fans just before the General Election. MBC’s TegeTege was at the handshake event to film promo but unfortunately, Yukirin was unable to speak. Tege2 will once again be at Nissan to cover the General Election. They will be cheering not only for Yukirin (Kami-oshi) but also HKT’s Sakura-chan (Geki-oshi). 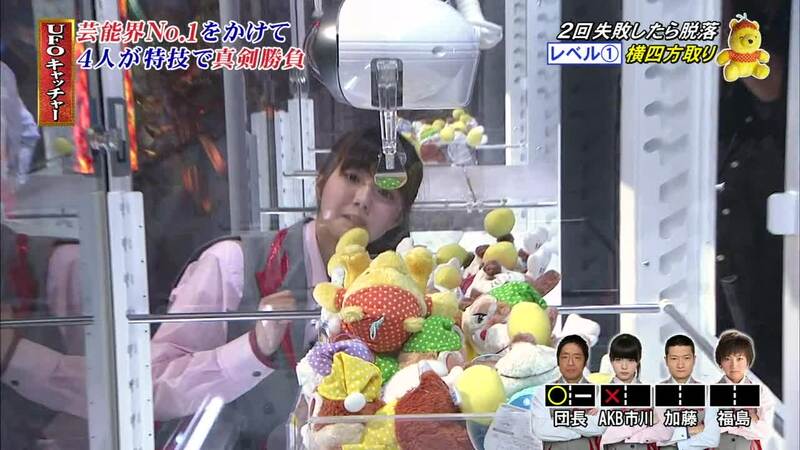 Yukirin was a guest on a segment of Teppen 2013 Summer SP along with Takamina and Ricchan as they cheered on Lemon during the UFO Catcher challenge. 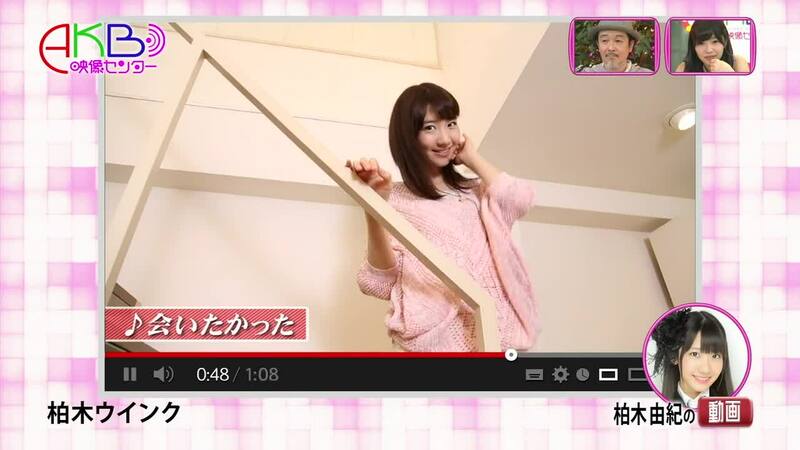 Once again, Yukirin graced us with another video for AKB Eizo Centre. This time she showed us why is the Queen at winks during performances as she winked to Aitakatta. Can you keep track of how many times she winked throughout the song? MaYuki appeared together on a morning show segment, they talked about handshake events and what they talk to fans about. This was filmed during the May handshake event. As promotion of the upcoming General Election, Tege2 showed a segment preview from the recent handshake event. Komori’s final theatre stage took place on June 3. Yukirin mentioned that although she wasn’t feeling well over the weekend, she was glad to be able to be on stage with Komori for her graduation show. Yukirin was very moved by the song that Komori chose to sing, which was “Fan Letter” from K5th Stage.